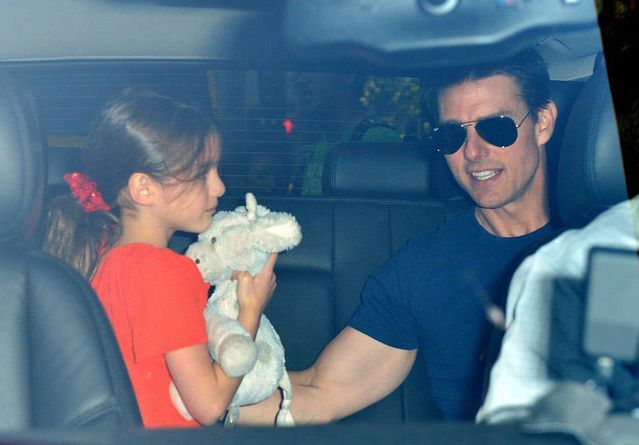 Suri & Katie leaving ice-scream parlor in NYC on July 25th 2012. 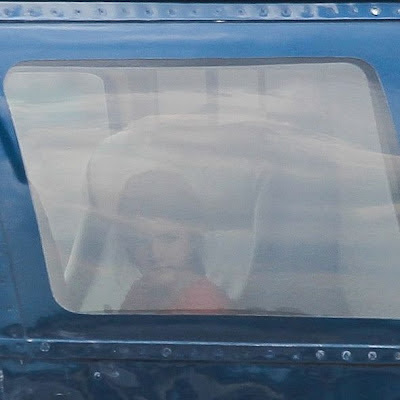 Suri kept warm in a geometric print scarf..
Suri & Katie returned back to NYC on July 24th 2012. 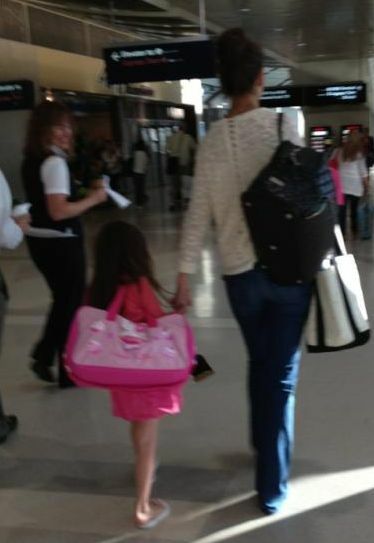 Katie was holding Suri's new Black & Hot Pink Tutu Bag by Culver Cutie Boutique. 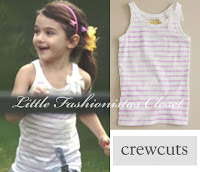 outfit info: Stripe Cozy Cotton Tullerina Tank in Hyacinth by Crewcuts, (first worn on July 20th 2010) and Bauble Flip-flops by GAP. 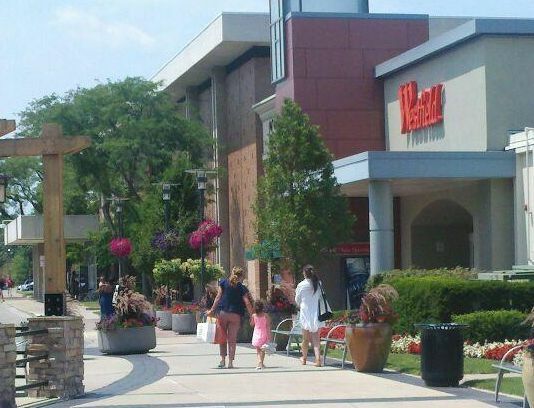 Suri & Katie out shopping, while visiting Katie's parents in Toledo, OH on July 22nd 2012. Suri was wearing Neon Pink Lace Crochet Dress SS'12 by ZARA kids (first worn on July 9th 2012). 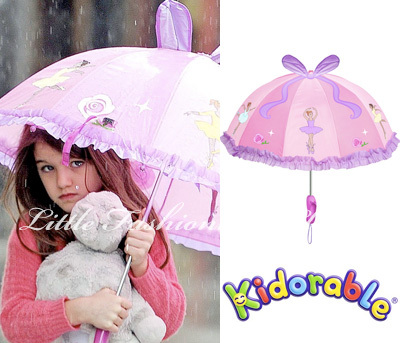 Suri & Katie pictured arriving at Detroit Metropolitan Wayne Country Airport on July 21st 2012.
outfit info: Pink Cashmere Waffle Cardigan by Marni (first worn on June 18th 2012), Knit Bubble Skirt SS'12 by Crewcuts (first worn on July 5th 2012) and Bauble Flip-flops by GAP. Suri braved the rain first in her flip-flops and than changed into new rain boots. 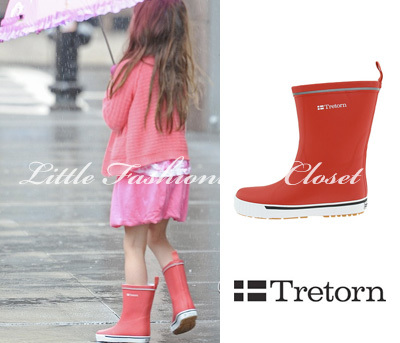 and wearing Red Jolly Rain boots by Tretorn. outfit info: Pink Cashmere Waffle Cardigan by Marni (first worn on June 18th 2012), Knit Bubble Skirt SS'12 by Crewcuts and Pink Floral Print Top SS'12 by ZARA (both first worn on July 5th 2012); Bauble Flip-flops by GAP. Suri returns from her mini-vacation straight to the gymnastics class at Chelsea Piers in NYC on July 19th 2012. Suri & Katie meet up at the parking lot after the gymnastics class. 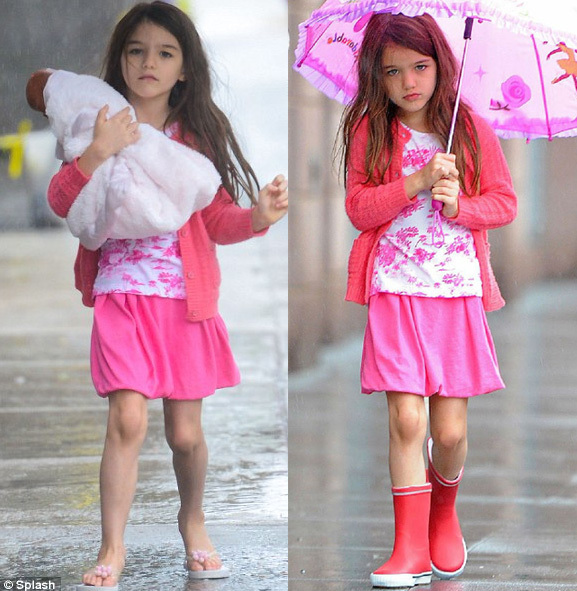 Suri was wearing Bauble Flip-flops by GAP and a Pink Dress. Suri & Tom were pictured taking off in a helicopter from NYC on their way to the East Hampton, on July 18th 2012. ..same Orange Dress and Sparkle Flip-flops from Coral line SS'11 by GAP. 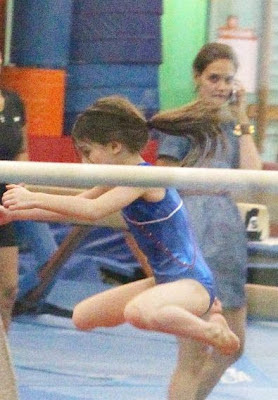 and later Suri was accompanied by Tom to her fav gymnastics class..
and Cinderella Ballerina Shoes in Flame Red by Repetto. 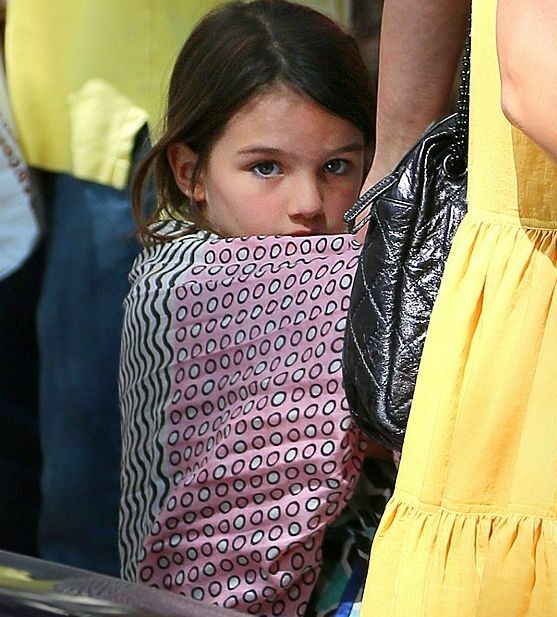 Suri was accompanied by Katie to the gymnastics class at Chelsea Piers in NYC on July 16th 2012. 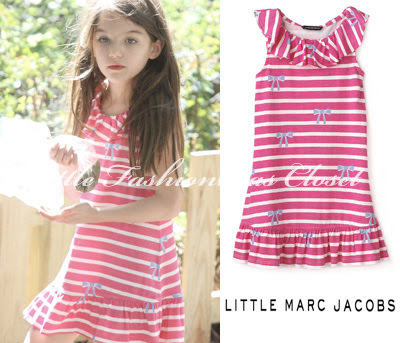 Suri was wearing Orange Dress and Butterfly Gem Orange Flip-flops SS'12 by GAP, (first worn on June 19th 2012). and grocery shopping at Whole Foods store. 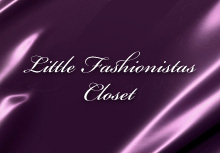 Suri was wearing Neon Pink Lace Crochet Dress SS'12 by ZARA kids (first worn on July 9th 2012) and Red Ballet Flats fronm Jeune Fille Collection by Roger Vivier. 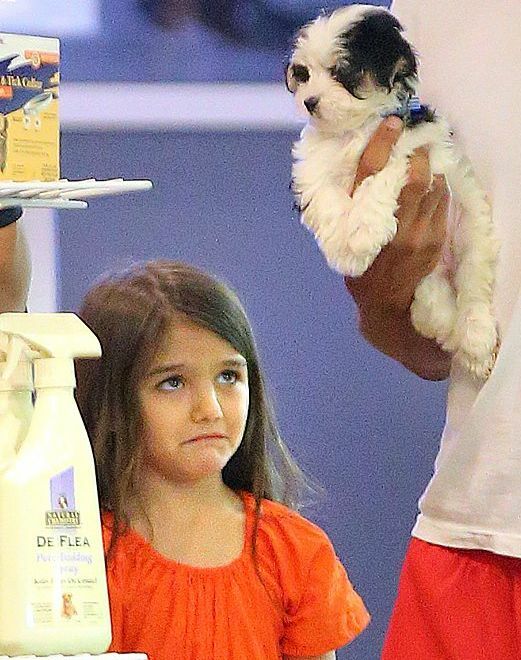 and later went to Puppy City, where Suri got upset about not getting a puppy..
Suri was wearing Red Ballet Flats fronm Jeune Fille Collection by Roger Vivier and Orange Dress. Zoey was wearing Sequin Happy Heart Tee by Crewcuts, Blue Floral Skirt by Juicy Couture and Leopard Ballet Floats also by Crewcuts. Suri & Zoey Yang visit Children's Museum of Modern Arts and later enjoyed ice-cream at Via Quadronno in NYC on July 13th 2012. Suri is wearing Hungarian style "Kalocsa" Dress. 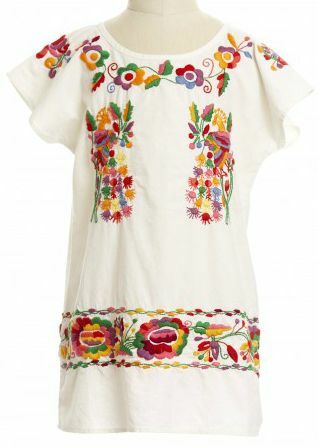 Marisol Embroidered Dress by Peek. 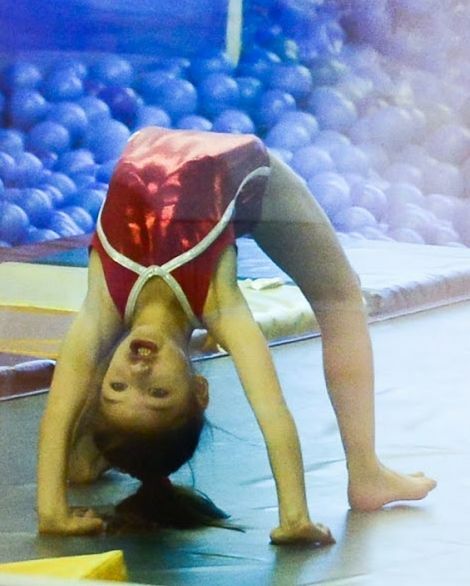 Suri & Zoey Yang attended a gymnastics class together at Chelsea Piers in NYC on July 12th 2012. 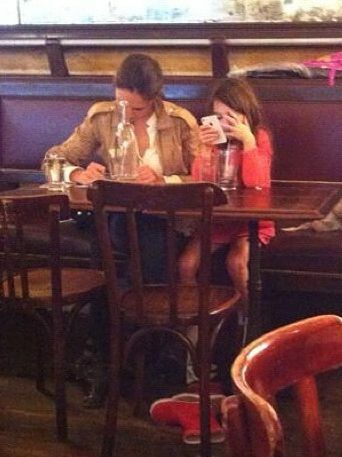 Suri looks so grown-up and pretty!!! Zoey Yang was wearing Green Eyelet Embroidery Dress from Water Garden line SS'11 by GAP. Suri & Katie visited Central Park Zoo in NYC on July 11th 2012.
and Red Ballet Flats fronm Jeune Fille Collection by Roger Vivier. 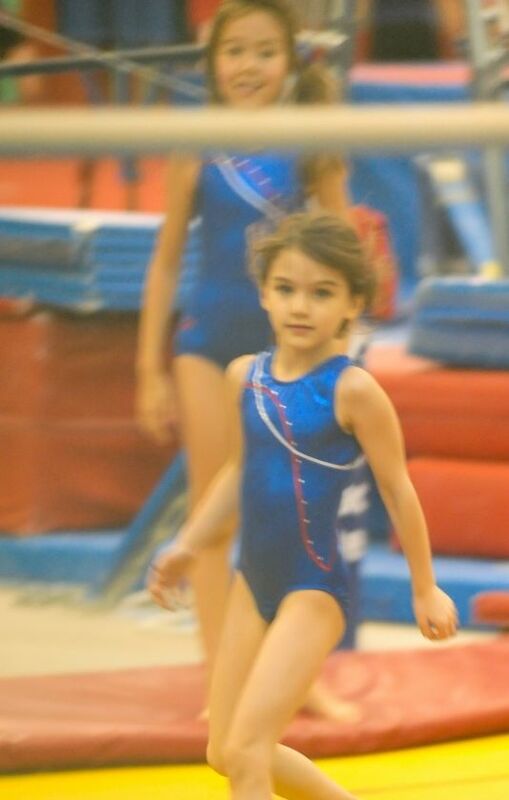 Suri was accompanied by Katie & Grandmother to gymnastics class at Chelsea Piers in NYC on July 10th 2012. THANKS to Sarah for the id! and Butterfly Gem Orange Flip-flops SS'12 by GAP, (first worn on June 19th 2012). 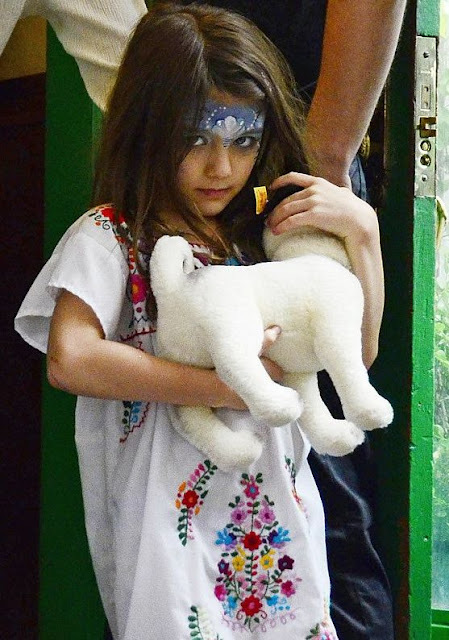 Suri & Katie made a 2nd trip this week to Children's Museum of Modern Arts in NYC on July 9th 2012.